For 2018, the Nissan GT-R adds a new Pure trim, while NissanConnectSM with Navigation and Services now includes Apple CarPlay. A black "Kuro Night" Premium Interior Package is added as an option. 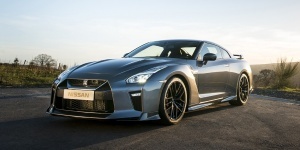 Get the best price for the Nissan GT-R of your choice from a dealer in your area. Request a price quote now.